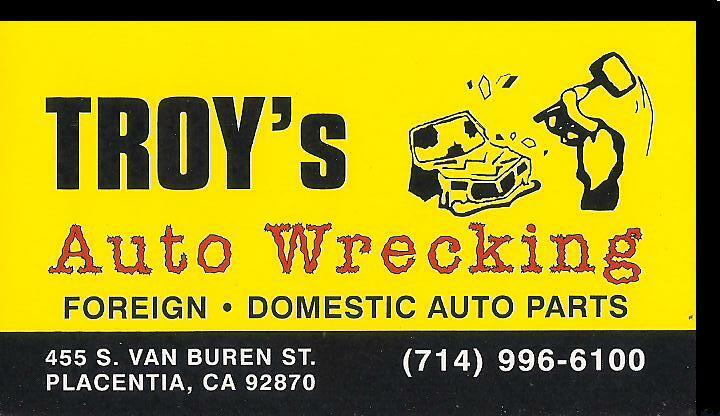 We offer quality auto parts at affordable prices. We have a fast and free delivery service through out San Diego, Los Angeles, San Bernardino, and Orange counties. We try very hard to get your order to you fast to keep you as our customer and keep you satisfied. We have a hot line part locator and computer based network service to help us buy and sell. If we don't have what you are looking for we will be glad to help you locate it.